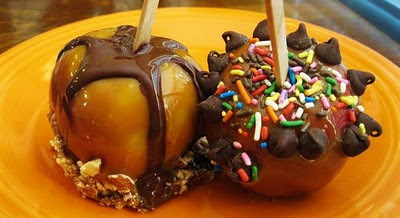 christineiscooking.com: Homemade Chocolate Covered Caramel Apple Recipe (easy)! Homemade Chocolate Covered Caramel Apple Recipe (easy)! We made Caramel Apples today to welcome in the fall season. Wow - these were AWESOME! I set out all the decorations for the apples (chocolate chips, crushed almonds, chocolate sauce, sprinkles) and everyone had a blast making them and being creative. What a sweet treat! This requires only a few ingredients and the taste is so excellent that you can't even compare it to store bought. (3) Place caramels and milk in a microwave safe container. Try and use a bowl or cup that is not too much larger then the apple, but will fit all the caramels. (4) Microwave 2 minutes - stirring half way through. Let cool a few seconds or so. (5) Roll each apple quickly in caramel sauce until well coated. 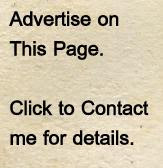 Place on prepared sheet and decorate immediately (if desired). To make a chocolate drizzle for the apples just melt any chocolate at 50% heat or on defrost with a tad of vegetable oil. Stir well every 20 seconds or so just until it is melted. Do not overheat though as it will seize up. If desired, you can place the chocolate sauce in a sandwich bag and cut a tiny bit of the tip off with scissors to make a piping bag for the chocolate.